If you listen and watch enough, everyone gives off a vibe, a type of unspoken, unconsciously demonstrated, fundamental style. As photographers, we’re especially keen on those who just “get” our stuff, and Adrienne and John are just that. 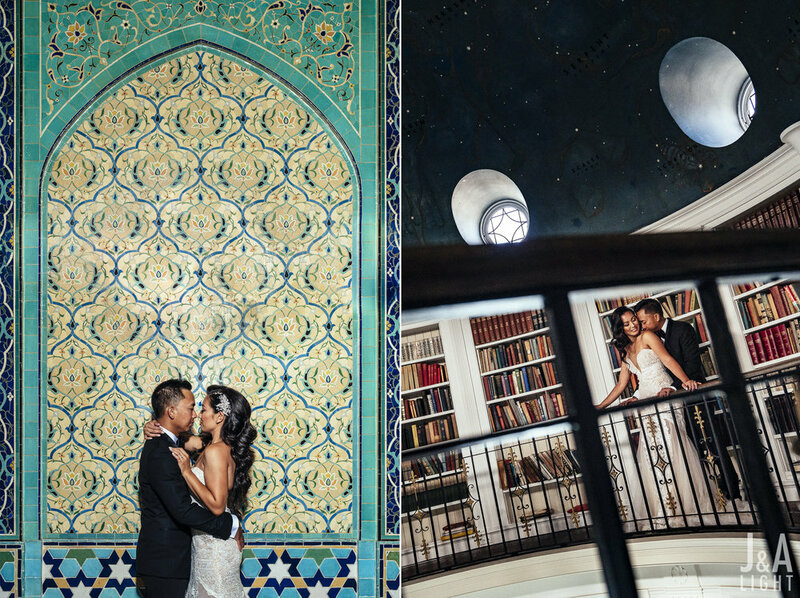 That element is not uncommon among our clients, but they seem to take it a bit further and put their own sophisticated spin on what we like to do, and on this day, their style combined with the perfect venue for this awesome post-wedding portrait session. The original plan was to do a dawn post-wedding session the day after their destination wedding on the North Shore of Oahu in Hawaii; however, as with the best weddings, everyone involved needed that day to recover from the celebration the day before. Not a big deal, but we did feel like we might have missed out on some beachside awesome. Luckily, we had the opportunity to work with the Fairmont San Francisco and their beautiful Penthouse Suite, which we are told hosted US Presidents, up until JFK, where he caused a short panic when Secret Service lost track of him for a short while, not knowing he had absconded to read to the roof through a secret doorway masquerading as a bookshelf. 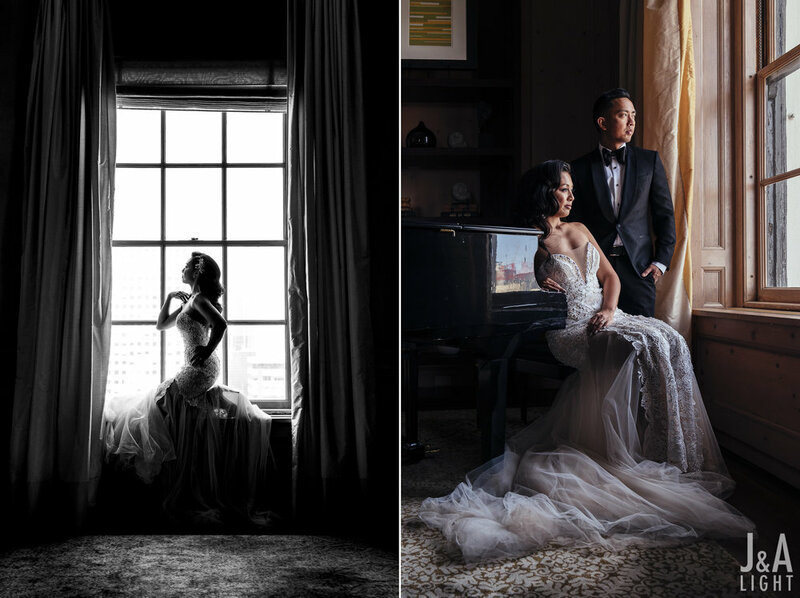 The Penthouse was glamorous and classic, and fit Adrienne and John perfectly in their sharp wedding outfits. 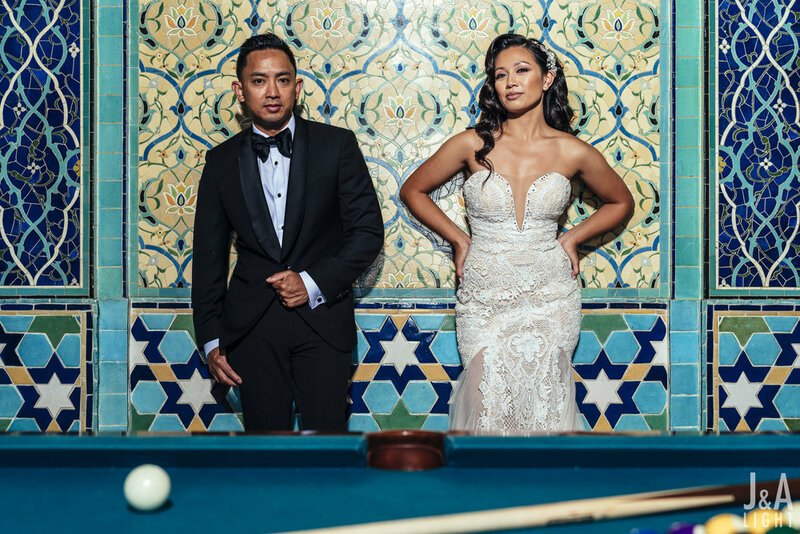 We’re with Adrienne and John on this one, and every chance you have to wear a beautiful Galia Lahav from Kinsley James Couture or really boss Hugo Boss tuxedo, you take it. Seeing them dripping in finesse in their outfits in the environs of the suite inspired something between Old Hollywood and the edgy beauty of a fashion magazine. 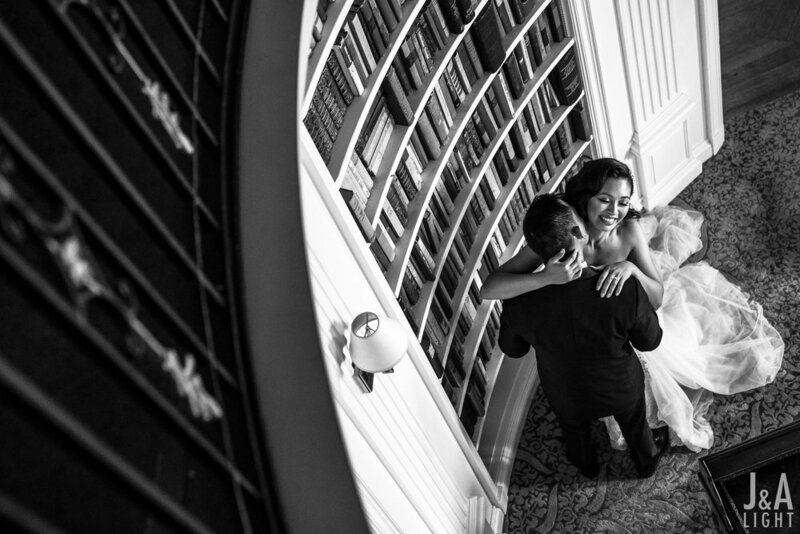 We explored the suite and had no shortage of beautiful spaces, and Adrienne and John made the best of them. We love that they definitely were feeling themselves and could turn up the glam, but at the same time, they were incredibly gracious with us and with their love for each other. We love how these photos turned out [and can’t wait to share about their wedding day when we get a minute! 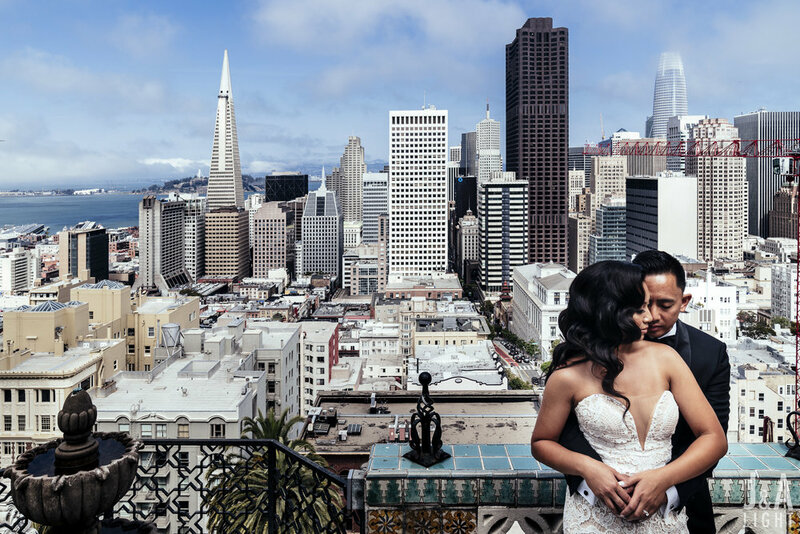 ], and we cannot thank Adrienne and John along with the wonderful staff, Emilie Lynch and Sage McRae at the Fairmont San Francisco, and especially Alexis Garhammer of The Claremont Club & Spa in Berkeley, CA for getting this idea off the ground for us.